The Collingwood Community Arena officially opened on July 15, 1949. The first hockey game was played November 10, 1949 against Owen Sound. The arena was re-named the Eddie Bush Memorial Arena in the 1980s after Eddie Bush who played hockey in the N.H.L. and returned to Collingwood to coach in the 1970s. 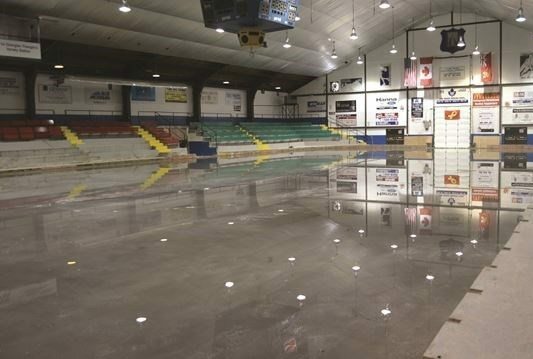 The Arena presently is operational year round for hockey, figure skating, various school functions and special events including the Collingwood Elvis Festival.